A serious business requires professional tools. Get your professional hosting server today. We assist you free of charge to set up, configure, and secure your server, and even to migrate any existing hosting accounts. Buy your fully managed or self-managed server from the experts — in the hosting and dedicated server business since 2003. Not sure what you need? Feel invited to discuss your hosting needs with us. 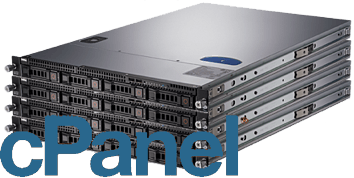 Buy this dedicated server as a self-managed plain Linux box, or have us install and configure cPanel for you, and let us further manage security and other updates — your choice! (regular full backups of your entire server then), and we can upgrade space, RAM, etc. as needed.